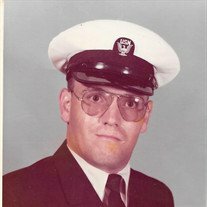 Harold Ray “PawPaw” Ballew, Jr., age 65, of Eddyville, Iowa and formerly of Georgia, passed away on Saturday, January 19, 2019 at his home in Eddyville, Iowa. Harold was born on July 8, 1953, in Griffin, Georgia, the son of Harold Ray and Sylvia Jean (Woodard) Ballew. Harold was raised in Georgia and worked for over 20 years in construction while living in Georgia. In 2009 Harold moved with his granddaughter, Destiny, to Eddyville. Harold enjoyed gardening and loved to bake. Harold is survived by his daughter, Ann Michelle Ballew; five grandchildren: Destiny Ballew, Blake Allison, Kyle Allison, Bridgette Allison, and Kindra Mallonee; two great grandchildren, Annabelle and Eliana “Dooderbug”; and one sister, Denise Ballew. A celebration of Harold’s life will be held at 6:00 P.M. on Thursday, January 24, 2019 at the Eddyville Funeral Chapel. Visitation– Harold’s family will be present to greet friends and relatives from 4:00 P.M. – 6:00 P.M. at the funeral chapel. To send flowers or a memorial gift to the family of Harold Ray Ballew Jr. please visit the Eddyville Funeral Chapel Sympathy Store. Posted by Press Release on Jan 20 2019. Filed under Obituaries. You can follow any responses to this entry through the RSS 2.0. Both comments and pings are currently closed.